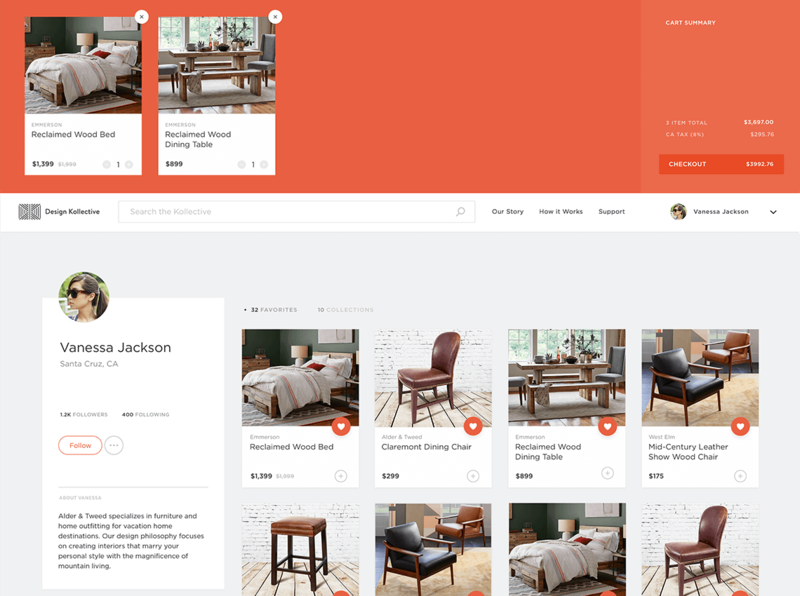 Design Kollective is a platform that allows brick and mortar furniture retailers to sell their inventory online. We helped the startup build an MVP to pilot with a select group of companies to validate the idea before launching the product publicly. 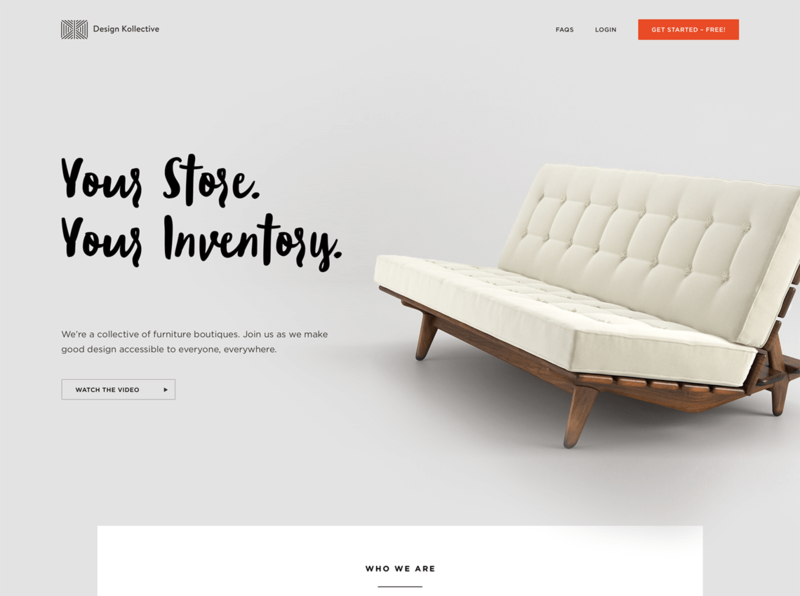 Design Kollective gives mom-and-pop furniture stores the opportunity to showcase their inventory online. Aesthetics are an incredibly important aspect of the furniture industry, so for a new platform to be taken seriously, it needed to look the part. We created a strong visual identity and weaved it into a small marketing site that collected user interest while we built out the full product. 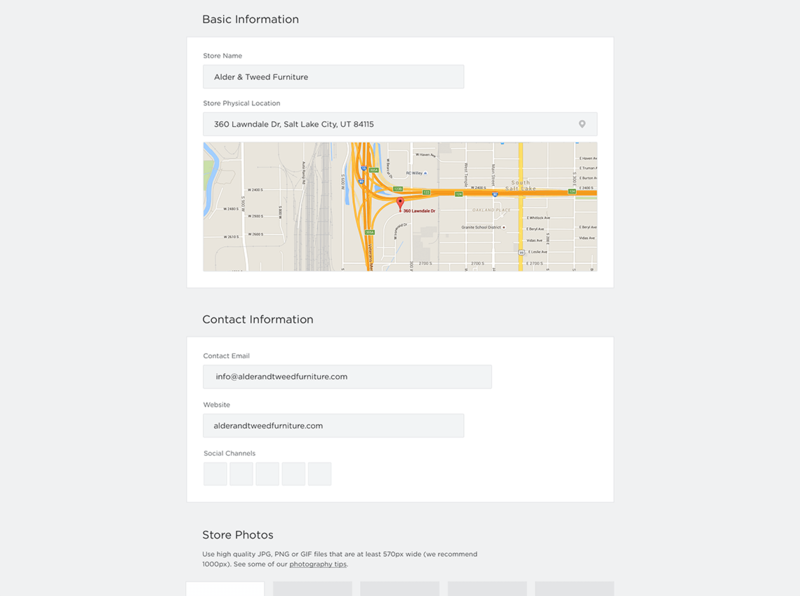 Each retailer can customize their page, injecting personality and providing a way to distinguish their store from others. Store and product discoverability is central to the app. 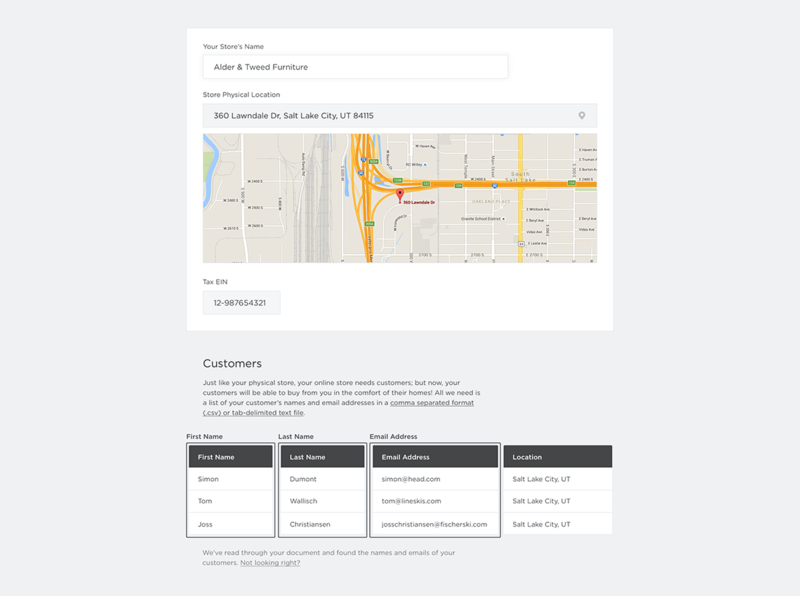 A predictive search bar and suggested categories within the search function allow customers to shop with precision as well as freely explore new products. Flash sales are released to a shop’s customer base first, so their most valued clientele get to see the new goods before the sale is opened to the public. This generates excitement around new products and helps develop retailers’ customer following. We wanted to ensure that even the least tech savvy shop owners are able to get their product online easily. 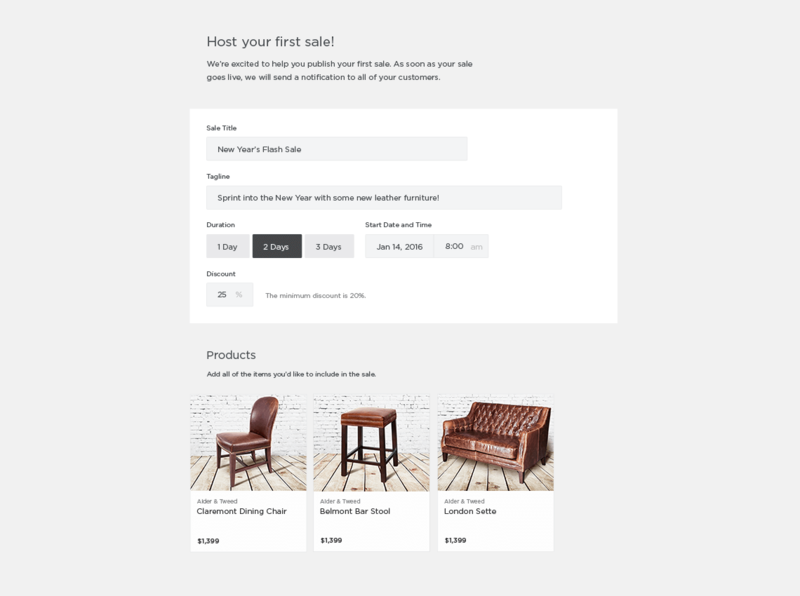 Once online, owners can upload their customer list and have their store instantly marketed on the site without buying ads or setting up a mailing list service. 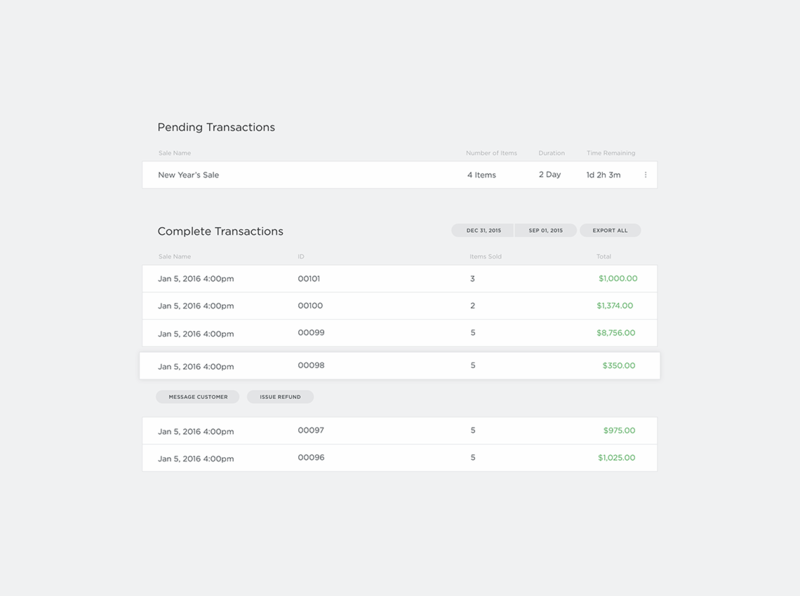 The checkout process shows the order summary through every step, and doesn’t ask for more information than is needed. 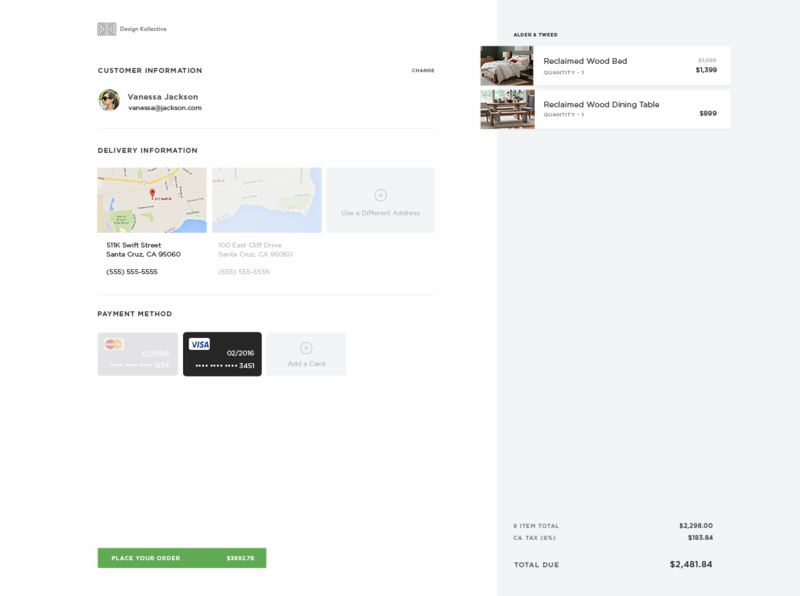 Delivery address and payment method confirmations are provided so the customer is confident that their purchase will arrive without a hitch. 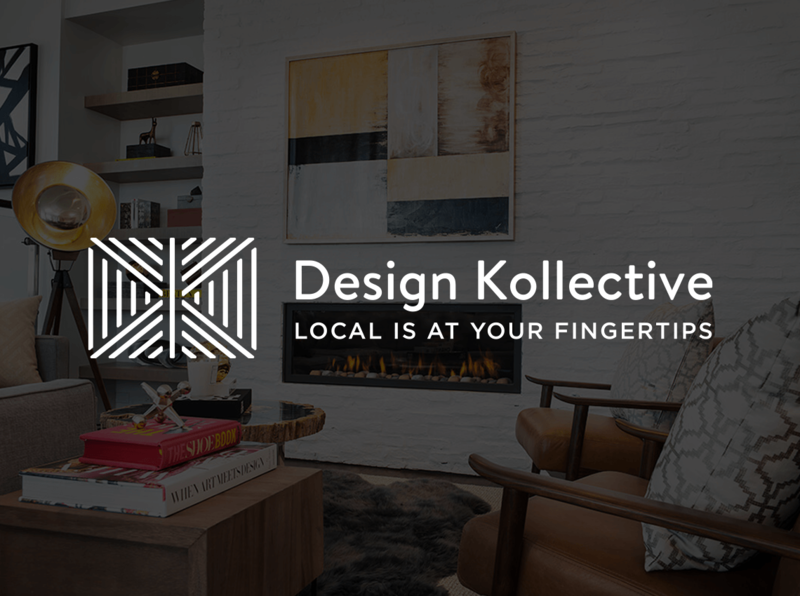 Design Kollective is being piloted with 20 retailers in the LA area, and will continue to be refined based on their results and feedback. Truly it is one of the most amazing sites I have seen, you all are beyond talented. You have made our dreams a reality, words can’t express our gratitude.